The Gambia had been a member of ECOWAS ever since the organization was created in 1975. Initially formed to promote economic cooperation and integration in West Africa, beginning in the 1990s ECOWAS assumed a more political role following the wave of political reforms and the growing number of protracted domestic violent conflicts in the region. The revised ECOWAS treaty (1993) and especially the Protocol on the Mechanism for Conflict Prevention (1999) and the Protocol on Democracy and Good Governance (2001) formally enshrined the commitment of the organization to promote democracy and good governance and to adopt what was later to be called the Responsibility to Protect (R2P). Electoral observation had been part of the ECOWAS mandate since the revised 1993 treaty, but responsibilities were further clarified with the 2001 protocol. The ECOWAS Commission created the Electoral Assistance Unit in 2005 and this is roughly the moment when ECOWAS began to systematically observe all national elections in member countries (Hartmann 2013: 42). Electoral observation requires an invitation from national authorities, and in a quite unusual step, President Jammeh refused to allow the ECOWAS Observation Team to monitor the December 2016 presidential elections (ECOWAS 2016c). According to ECOWAS, the reversal of position by President Jammeh was unacceptable and threatened peace not only in The Gambia but the entire West African sub-region. ECOWAS leaders thus decided to send a mediation commission to Banjul. As acting ECOWAS chairperson, Liberian president Ellen Johnson-Sirleaf headed the delegation that traveled to Banjul on 13 December 2016, together with the presidents of Nigeria, Ghana, and Sierra Leone (respectively: Muhammadu Buhari, John Dram-ani Mahama, and Ernest Bai Koroma), and the UN Special Representative for West Africa (also a former ECOWAS Commission president), Ghana’s Mohammed Ibn Chambas. Despite the high-ranking composition (comprising all Anglophone heads of state within ECOWAS), however, the commission did not manage to convince Jammeh to modify his position. Following the failure of this first mediation, ECOWAS heads of state were apparently convinced that they needed to adopt more credible sanctions. When asked whether the UN would consider military action to force Jammeh’s departure, Chambas did not rule out this possibility (Farge and McAllister 2016). At their regular summit on 17 December 2016 in Abuja, they decided upon the following course of action: ECOWAS would continue mediation efforts through President Buhari and President Mahama, and request that the AU and UN endorse their decisions. The heads of state would attend the inauguration of President-elect Barrow, to be sworn in on 19 January 2017 in conformity with the Gambian Constitution. ECOWAS would be obligated to take all necessary means to strictly enforce the results of the elections (ECOWAS 2016d). To that end, ECOWAS placed standby forces on alert and formally authorized them to intervene militarily if Jammeh did not step down. Further negotiations between Buhari and Jammeh in Banjul ended on 13 January without any breakthrough, and as the deadline of 18 January approached, the option of military intervention became more realistic. On 14 January, Barrow traveled together with the ECOWAS mediators to Bamako to meet most of the other ECOWAS heads of state, who were attending the France–Africa Summit there. UN Special Representative Chambas declared that ECOWAS would ask the UN Security Council to approve the deployment of troops to The Gambia if Jammeh refused to cede power (Vanguard 2017). ECOWAS chiefs of staff gathered on 14 January in Abuja to discuss the preparations for the establishment of the ECOWAS Military Intervention in The Gambia (ECOMIG). On 18 January, troops (most from Senegal, with contingents from Nigeria, Ghana, Mali, and Togo) started to move towards the border with The Gambia (which is surrounded by Senegalese territory), and together with Nigerian forces also implemented a naval blockade. In the afternoon of 19 January, under the sponsorship of ECOWAS and in the presence of many international diplomats, Adama Barrow was sworn in as president in the Gambian embassy in Dakar, Senegal. The same day, the UN Security Council unanimously approved Resolution 2337, expressing its full support for ECOWAS’s quest “to ensure, by political means first,” that “the will of the people of The Gambia as expressed in the results of 1st December elections” be honoured, though the Security Council did not endorse military action according to Chapter VII of the UN Charter (UN 2017). On 19 January, some troops nevertheless invaded Gambian territory, but the invasion was quickly halted by a last-minute negotiation by Mauritania’s president Abdel Aziz, Guinea’s Alpha Condé, and Ibn Chambas. Under the imminent threat of military invasion, with thousands of Gambians fleeing to Senegal, and with Jammeh’s own army chief pledging his allegiance to President Barrow, Jammeh eventually agreed to step down and go into exile. The ECOWAS contingents then secured the territory, and it was decided that ECOMIG would stay for a further three months in The Gambia, as requested by President Barrow. In a nutshell, ECOWAS managed to “restore democracy” in The Gambia by using the threat of force without using any actual physical violence. On 19 January, there was apparently some sporadic fighting on Gambian territory which involved Senegalese troops and rebel units from Casamance, but the negotiated departure of Jammeh avoided any military confrontation between the Gambian army or affiliated mercenaries and the ECOWAS troops. Ever since Jammeh had reneged on his commitment to respect the electoral results, ECOWAS heads of state and the ECOWAS Commission had been quite clear in their position and remained steadfast. The scenario of military invasion had been openly discussed since the ECOWAS summit in Abuja on 17 December. The organization had also won legitimacy through being backed by both the African Union and the United Nations Security Council (the latter with some reservations) for what was essentially an ECOWAS strategy and policy. Only when the scenario of military invasion became credible did the Gambian regime accept the defeat. With Senegalese troops stationed on the border and the Nigerian air force patrolling the sky above Banjul, most of the president’s remaining allies clearly realized the ship was sinking. It has been pointed out that the negotiated departure of Jammeh might not be considered an entirely successful operation, as he flew to a country (Equatorial Guinea) where he will face no prosecution for past violations of human rights or other criminal offences, and he was allowed to take with him most of his belongings (valued at USD 11.4 million, including a fleet of luxury cars). According to the opposition, the state coffers were practically emptied (Burke 2017). 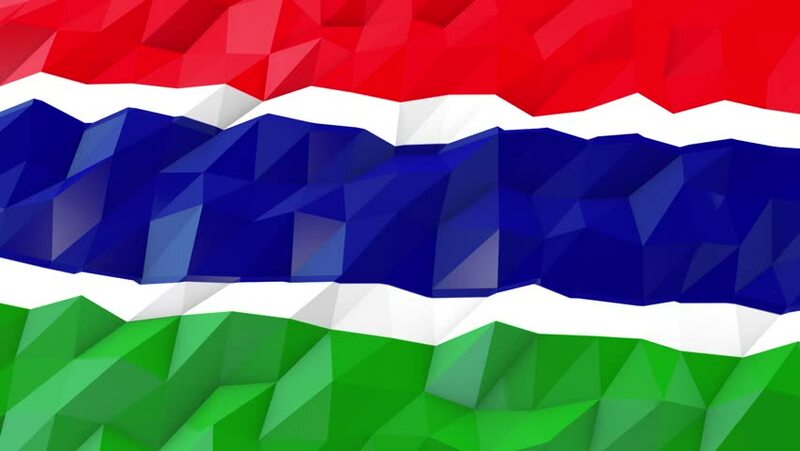 It is, however, clear that Gambians themselves could not hold their leader accountable without the support of the international community, and it is very unlikely that ECOWAS would have been able to achieve a peaceful transition and the restoration of democratic order without having made these compromises. Christof Hartmann is a professor of Political Science, focusing on International Relations and African Politics at the University of Duisburg-Essen. Published by GIGA German Institute of Global and Area Studies, Institute of African Affairs in cooperation with the Dag Hammarskjöld Foundation Uppsala and Hamburg University Press in African Spectrum (Journal) which is an Open Access publication under the conditions of the Creative Commons Attribution-No Derivative Works 3.0 License. Burke, Jason (2017), Exiled Former President Yahya Jammeh “stole $11.4m” from the Gambia, in: The Guardian, 23 January, online: (24 February 2017). Hartmann, Christof (2013), Governance Transfer by the Economic Community of West African States, SFB-Governance Working Paper, 47, Berlin: Freie Universität Berlin, SFB 700. ECOWAS (2016a), ECOWAS, African Union and UN Statement on the Gambian December 1 Presidential Election, press statement, Abuja: ECOWAS. ECOWAS (2016c), ECOWAS’ Goodwill Message to the People of the Gambia on the Eve of the 1st December 2016 Presidential Elections, press statement, Abuja: ECOWAS. ECOWAS (2016d), Final Communiqué: 50th Ordinary Session of the ECOWAS Authority of Heads of State and Government, Abuja: ECOWAS. Farge, Emma, and Edward McAllister (2016), Gambia's Jammeh Must Leave Power When Term Ends: United Nations, in: Reuters, 14 December 2016. United Nations (UN) (2017), Resolution 2337 (2017), New York: UN Security Council. It seems that the experiences in (Libya and) Côte d’Ivoire mattered here when China and Russia felt their support for Resolution 1975 had been abused to promote regime change (Bellamy and Williams 2011). The African pressure for military enforcement of regime change thus met some resistance among SC members. According to many observers, it was the threat of legal proceedings against him and his closest allies that triggered Jammeh’s re-evaluation of the electoral results. In an article in the Guardian on 7 December, Fatoumata Jallow-Tambajang, one of the leading figures of Barrow’s coalition, had announced that the new government would hinder him from leaving the country and prosecute him for his crimes within a year of handing over the reins of government (, accessed 24 February 2017). The challenge of how to provide exit options for African autocrats has been analyzed in Melber and Southall (2006).